Rasta reggae leaf print theme standard filter tips, full box 48 booklets. Made from very good quality hemp natural papers. Each booklet contains 50 tips. 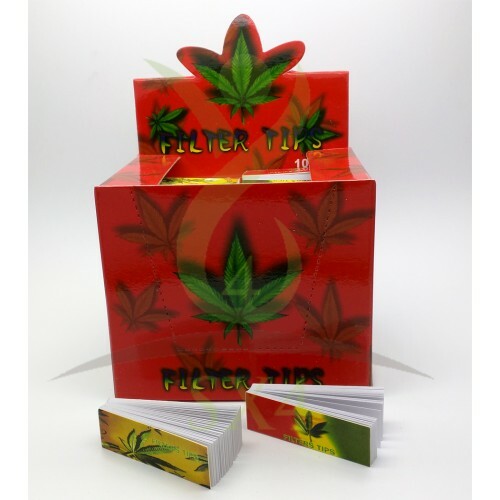 Features Rasta reggae leaf theme filter tips roaches booklets to roll your own cigarette.